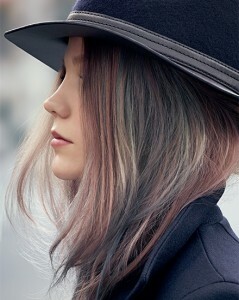 What do you think of the newest haircolor on this model from Wella? I’m really interested to know what you think with the grey silver tones plus the blush colors that are intermingled for dimension. At first, I wasn’t sure but the more I see the more I like it. I’m tempted to try it. the cool thing is it’s hair color and it can be changed in seconds. If you would be so kind to let me know your feelings, impressions, opinions, I would be really grateful.